My grandpa’s cousin, Eva, came over from Poland once when I was little and made us homemade pierogi, those beautiful, soft Polish dumplings. Though I remember nothing about her particular recipe, I remember being impressed that she could make them from scratch because we had only bought them in the freezer section. Now I am a sucker for any sort of fried or boiled dough pocket filled with delicious-ness and luckily most cuisines have their own version – ravioli, tortellini, empanadas, potstickers, and pierogi to name a few. There’s something so comforting about cutting into that pillowy or crispy goodness and finding out what’s inside. Mmmm. So while perusing the internet last year or maybe hearing about someone else’s pierogi eating, I decided I could totally make my own pierogies. In the end it wasn’t even that hard! 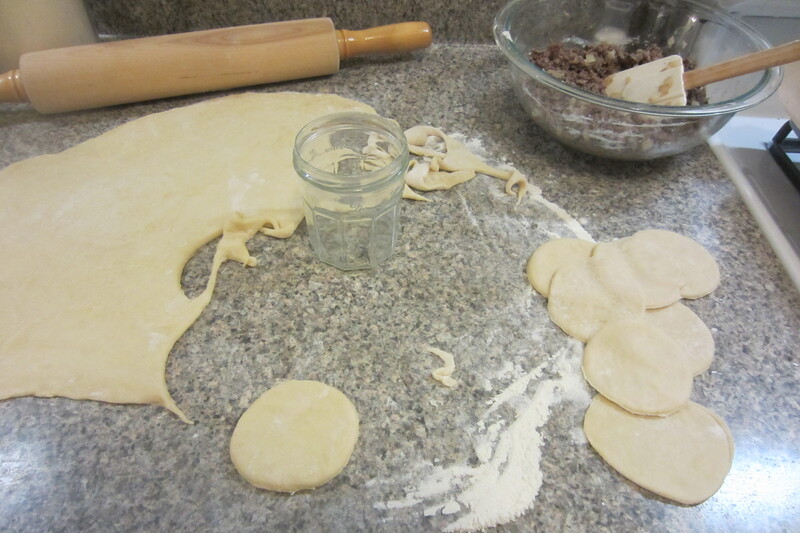 Time consuming – yes, but difficult – not really (much easier than that damn potsticker dough!). You make a simple yeast-less dough, let it rest and prepare your filling. I love cheese and mashed potatoes and used to make those on a regular basis last year, but this time I had some ground beef to use up and I figured Sam would appreciate the load of protein within. I added onion and beef broth for flavor (and accepted the fact that I wouldn’t be eating any) and folded up a whole tray of these beauties. I can’t speak for myself, but Sam very much enjoyed them and is excited for the stash in the freezer. 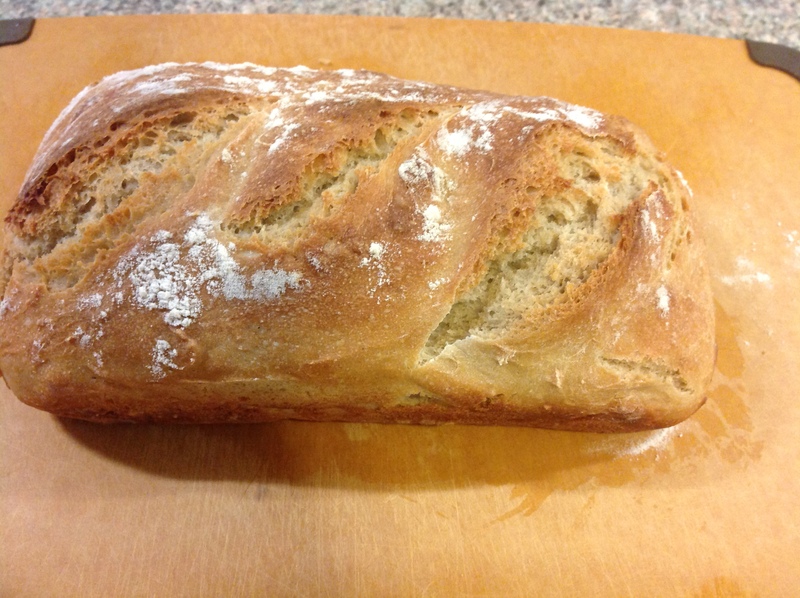 I found a delicious recipe that I used last year and loved, but it seems to have disappeared from the internet. The one I used last year had sour cream in the dough, but this one is lower fat and dairy free and just as delicious I’m sure. For the dough, mix flour and salt. In a small bowl whisk egg, oil, and water and stir into the flour mixture. Mix with your hands if needed until it comes together in a smooth ball. 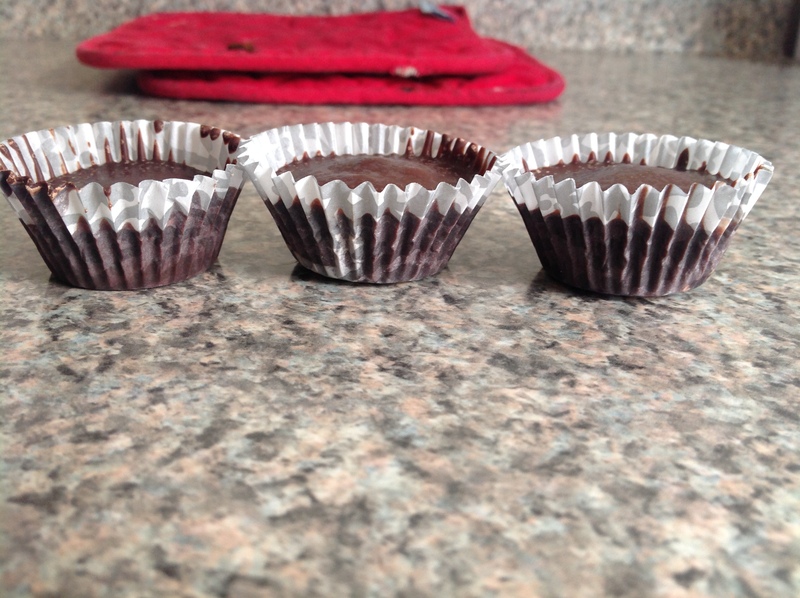 Let rest for at least 15 minutes while you prepare the filling. If you are not going to use it after a half hour or more I recommend refrigerating it to keep it from getting too soft. For the filling, brown the beef in a medium skillet. 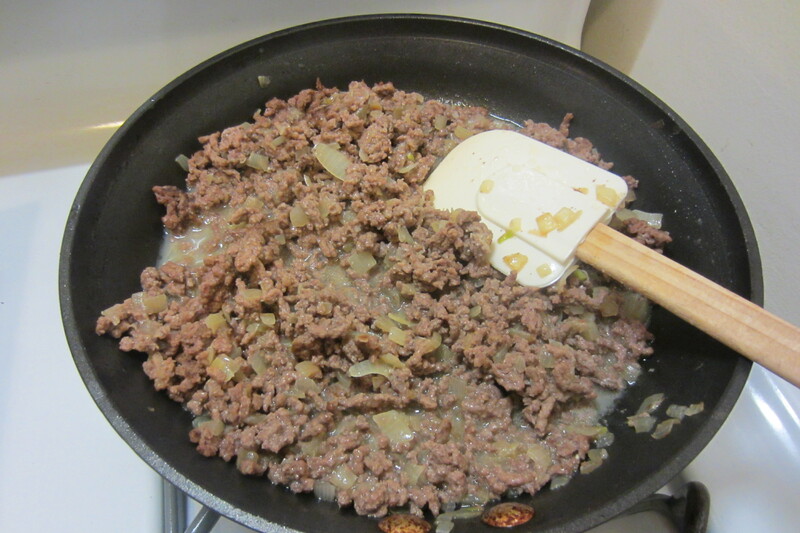 When done cooking, remove beef and leave a tablespoon or so of the fat. Saute the onion in the beef fat with a bit of salt and pepper until soft and slightly browned. Return the beef to the skillet and add the beef broth until the desired consistency and warm for a few minutes. I found if I added too much broth, the filling would be too runny for the pierogi dough. Remove from heat and put into a separate bowl to aid in cooling. 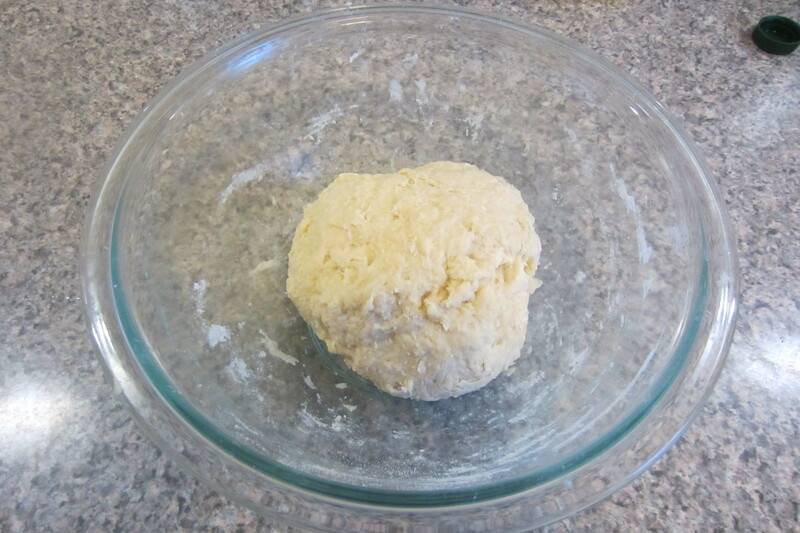 To assemble, roll out your dough to about an 1/8 inch thick. You don’t want it so thin that the filling will break through, but you don’t want it too thick either. 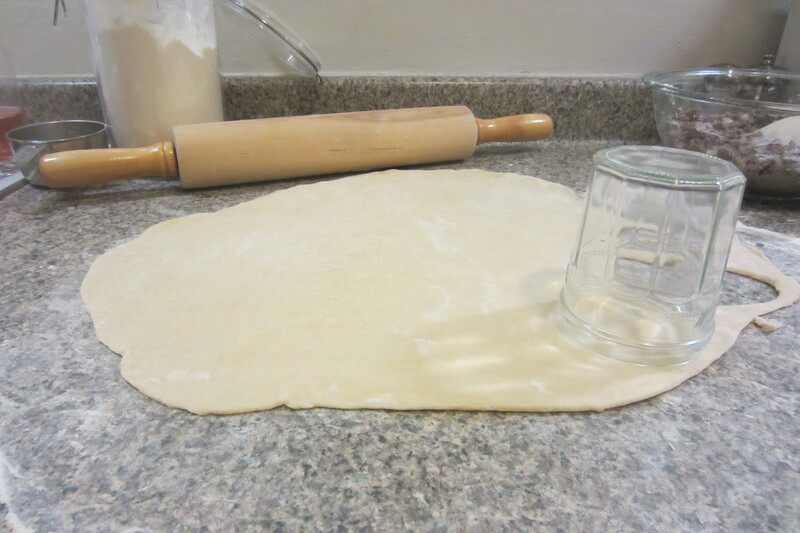 Using a biscuit cutter or a drinking glass (as I did) cut out circles from the dough (about 3 inches in diameter or so) and set aside. 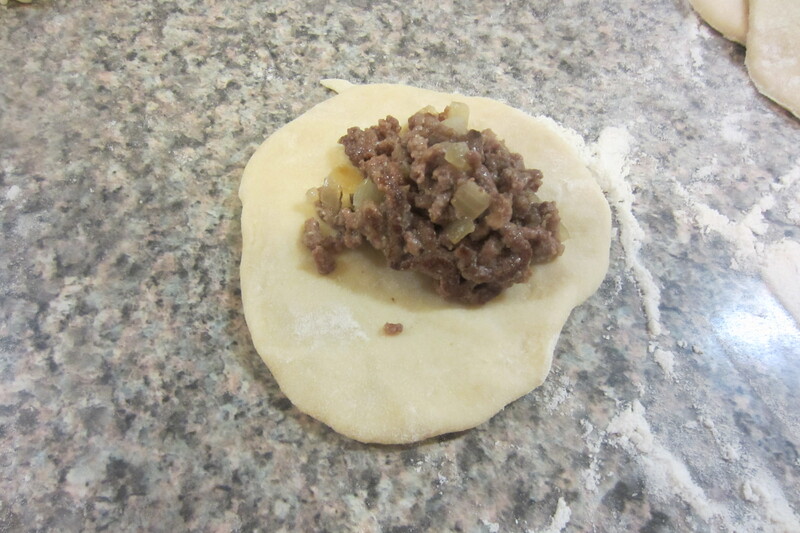 Lightly stretch each circle and fill with about a tablespoon or more of the beef filling (you’ll be surprised how stretchy your dough is). Fold the circle over in half and pinch the edges to seal with your fingers. Press the tines of a fork around the edges if desired for a better seal and a different look. You may need to dip the fork in flour to keep it from sticking. As you make the pierogi, put them on a parchment paper-lined cookie sheet. 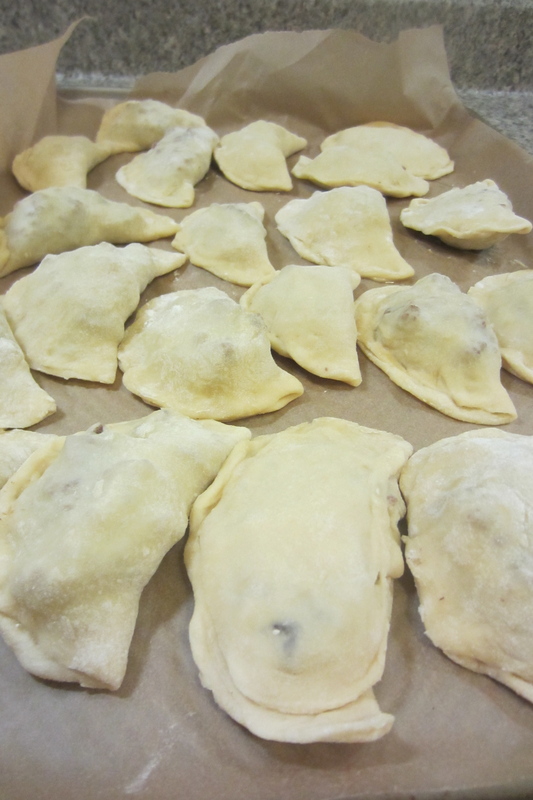 When you have filled the cookie sheet, put it in the freezer for at least 10 minutes to allow the pierogies to firm up. 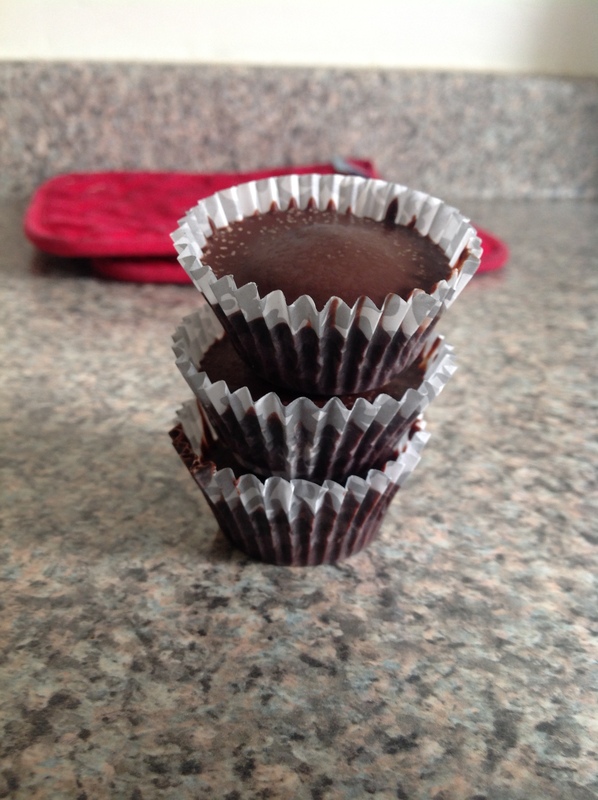 If you are saving them for another time allow to freeze, until firm enough to put in a freezer ziploc bag. Otherwise prepare a pot of boiling water, lightly salted. Add pierogies (do not crowd the pot) and cook for 3-5 minutes. 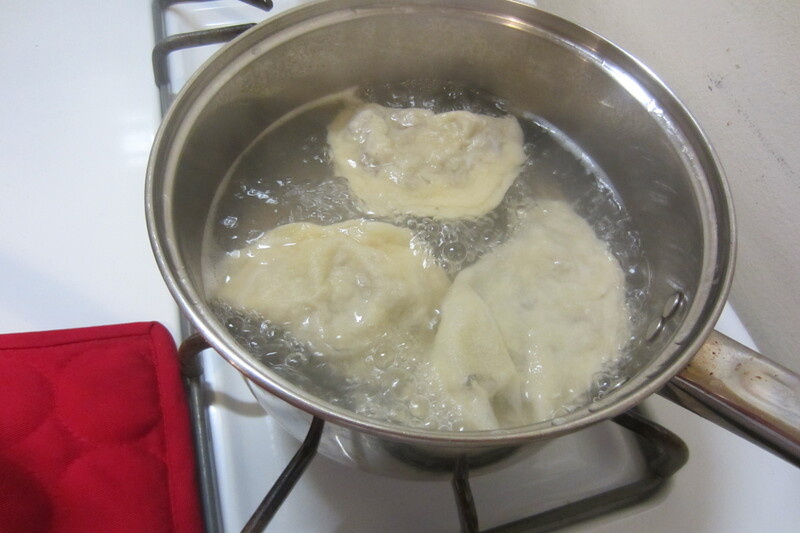 If desired, carefully remove pierogies from the water, letting access water drain and add to a pre-heated and lightly oiled skillet (medium heat). 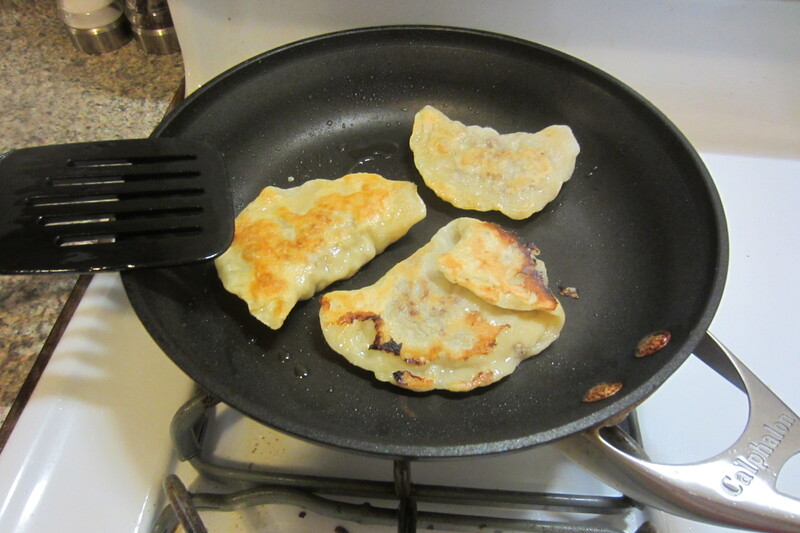 Cook until pierogies are crisp, flipping once to get each side. 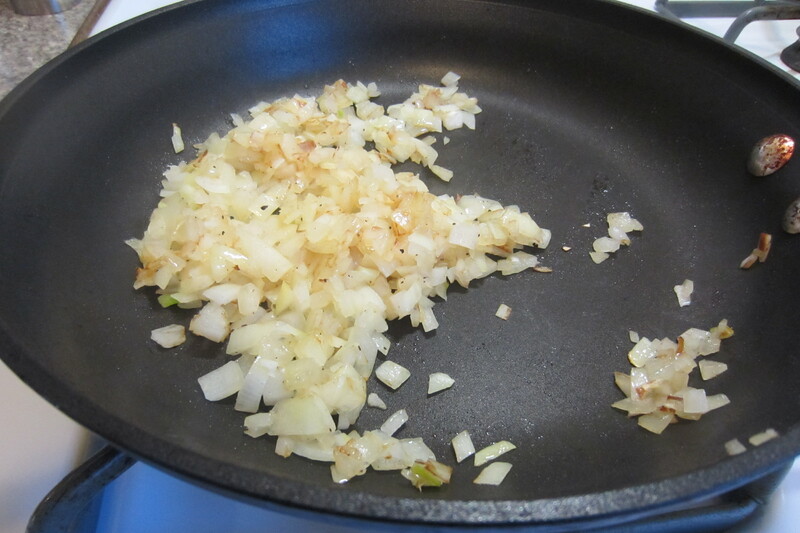 Serve hot with more sauteed onions, shredded cheese, and sour cream if desired. 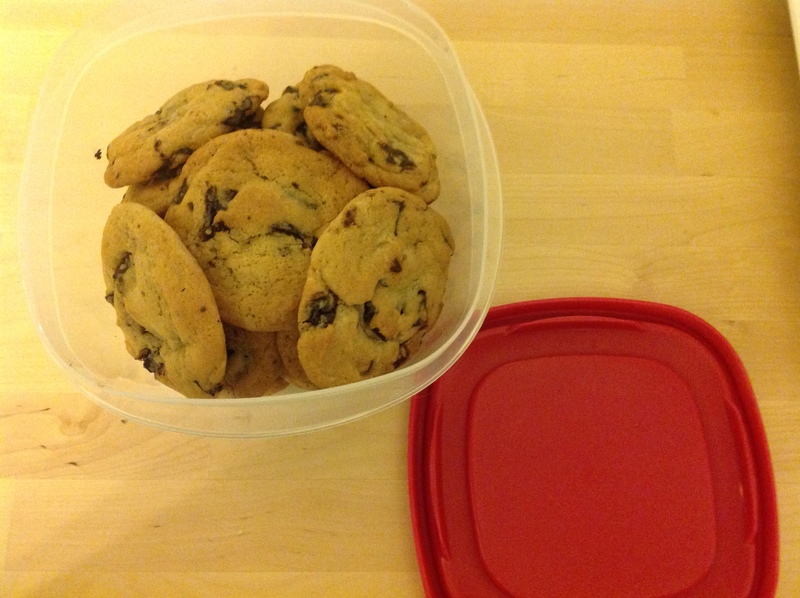 I wish I had Eva’s recipe, but I promise you these will be equally delicious. Hope you try them! Cilantro – you either love it or you hate it. It tastes like soap or it tastes like Sunday nights at your cousins’ house with your aunt’s homemade salsa and salt-rimmed margaritas for the adults. I am one who happens to love cilantro. 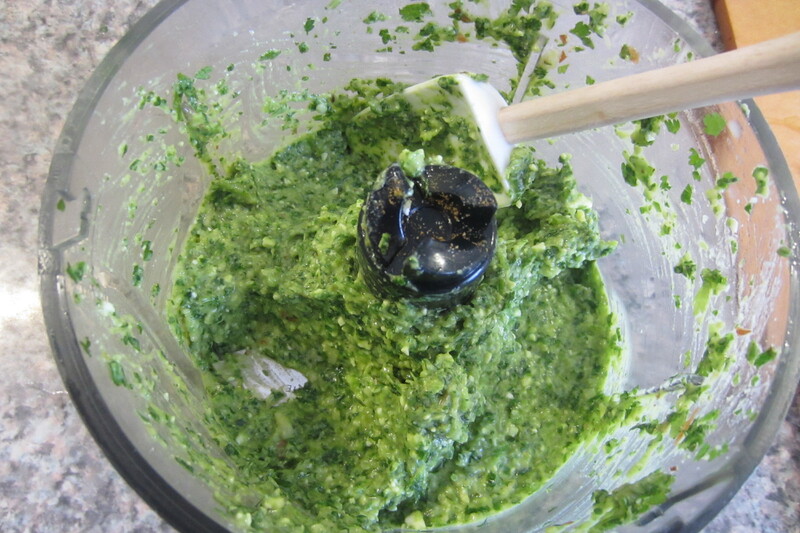 I also love pesto – herby, salty, with a creaminess you can feel less guilty about and a slight crunch here and there from whatever nuts you’ve thrown it. 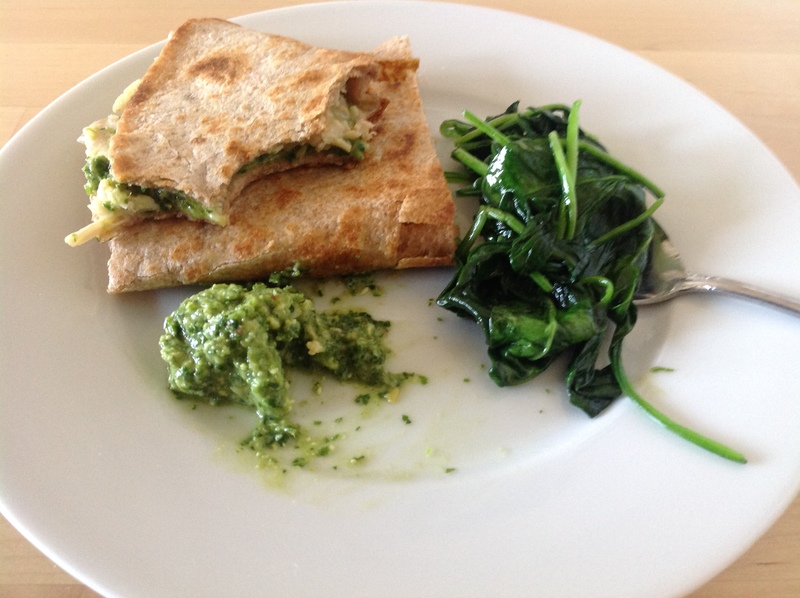 The great thing about pesto is its versatility. 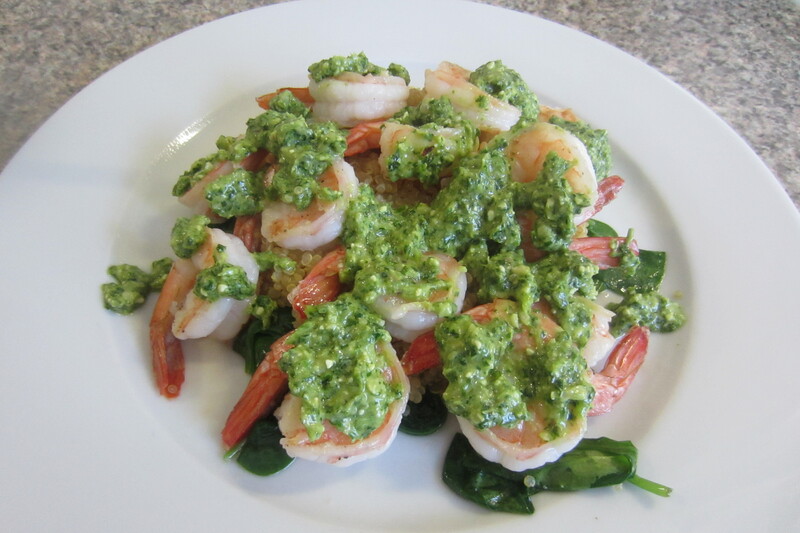 Pesto does not require an exact formula and ingredients can be interchanged to suit your tastes. In addition, it does not need cooking, making it a fast and fresh sauce perfect for the warmer months. While this month is not yet exactly warm, the days are getting longer (yay sunlight! ), which gives the promise of an eventual spring and then summer. I had some leftover cilantro in my fridge from an earlier recipe and seeing as I wanted to use it up, I decided I could do a cilantro pesto. Using this recipe for inspiration, I eliminated the garlic and lime juice (for GERD’s sake) and substituted feta cheese for the cotija. The result was flavorful and spunky, the south-of-the-border cousin of the more popular basil pesto. Even better, I hardly noticed the lack of garlic and lime juice in terms of flavor. I drizzled it over some shrimp and quinoa (I love shrimp!) 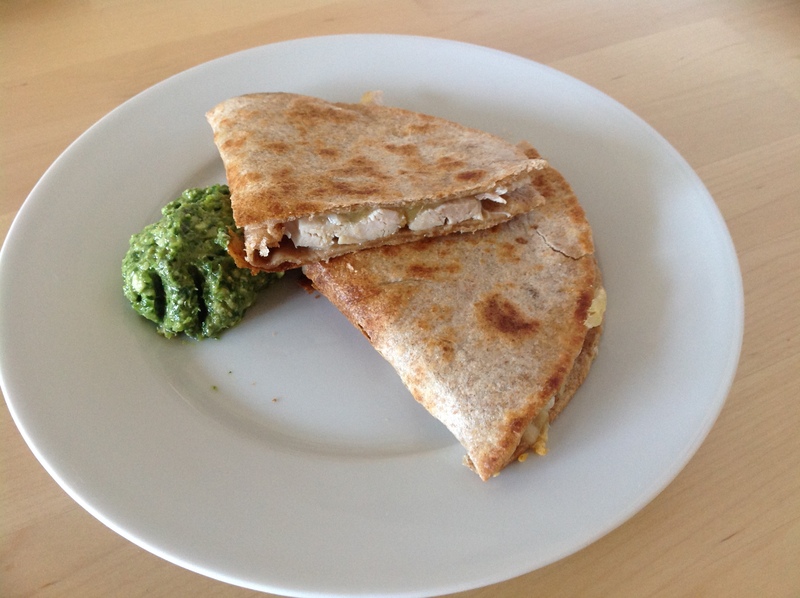 for a delicious lunch one day and served it with my chicken and cheese quesadilla the next day. AND this pesto got Sam’s approval. 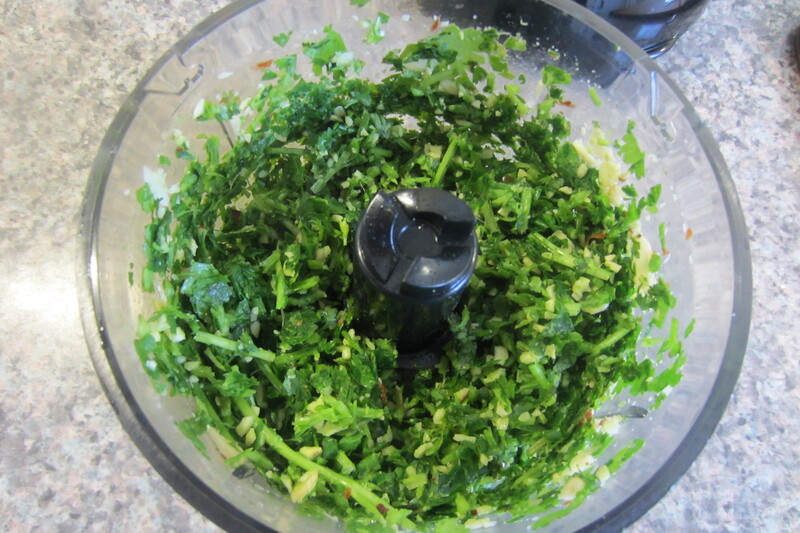 Gently rinse the cilantro to remove all sand or dirt. 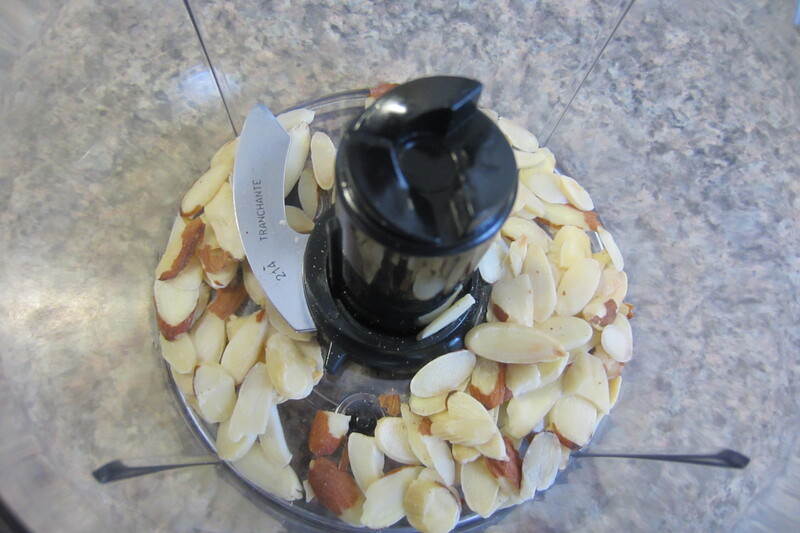 Shake dry and roughly chop just so it blends more easily. 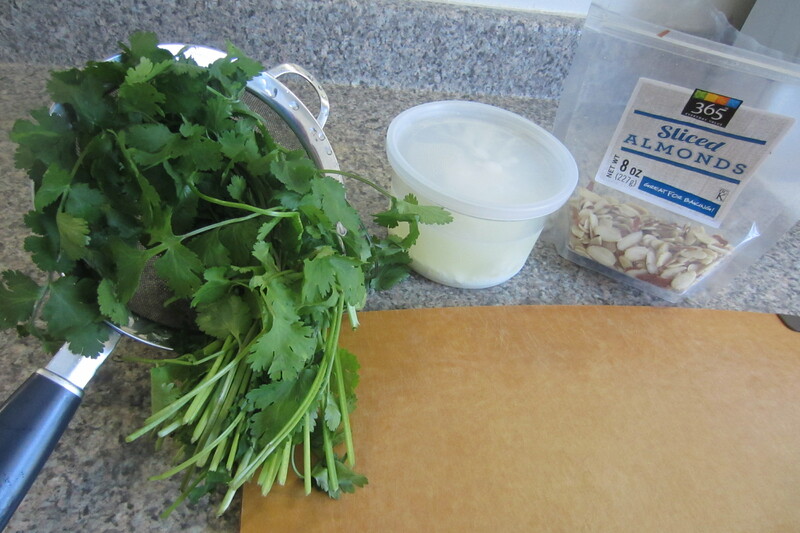 Pulse nuts and cilantro in a food processor until well mixed and no more cilantro stems appear. Add feta and cumin and blend. Drizzle in a bit of oil (a few tablespoons to start) and blend. Add more oil if desired (or to cut down fat, add warm water to thin out to your desired thickness). Taste for saltiness and add salt if necessary (remember the cheese will add a fair amount of salt). Serve over your favorite dish. Recommendations: Serve with fish, veggie burger, quesadillas, shrimp, or on toasted sliced bread.